Ozitarget is my last finding! 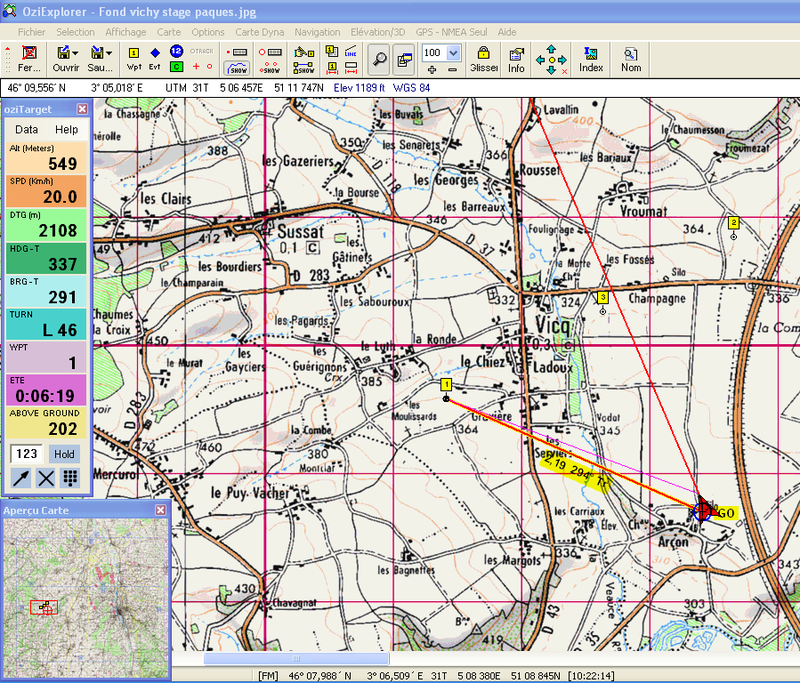 It is not a real moving map software such as Oziexplorer or CompeGPS, but an add-on developed by the Australian balloon manufacturer Sean Kavanagh. Indeed, Ozitarget is a complement that interacts with Oziexplorer by relying on the same software code. Here is Sean Kavanagh’s website about Ozitarget. As I mentioned before in the Softwares section, Oziexplorer is a very stable software that does not use a lot of working memory. However, there is a crucial lack of features that are adapted to competition ballooning, and the user interface is really old-fashioned. This is where Ozitarget comes into play: it adds new functionalities to Oziexplorer et its interface actually replaces the one from Oziezplorer. And many more options that I will explain in more details later on. The main advantage of that add-on is that his designer, Sean Kavanagh, constantly works to improve and update it so that it might offers more and more useful features. Ozitarget only runs on a Windows exploitation system (XP, Vista 7 or Windows 8). It requires first the installation of Oziexplorer, that has to be bought separately (more information here). Ozitarget is available here for 65€ (95 AUS$) including lifelong updates and technical support.